Three national environmental groups have raised concerns over plans for ESB’s peat plants at a hearing into the semi-state’s plans to co-fire biomass with peat at one of the Midlands stations. Appearing at an An Bord Pleanala oral hearing in Tullamore yesterday, Friends of the Irish Environment (FiE) said that the Board should refuse permission for the ESB’s application for permission to operate a peat and biomass plant at its West Offaly facility in Shannonbridge. The utility is seeking permission from 1 January 2021, the day after its current permission for the peat-fired plant expires. 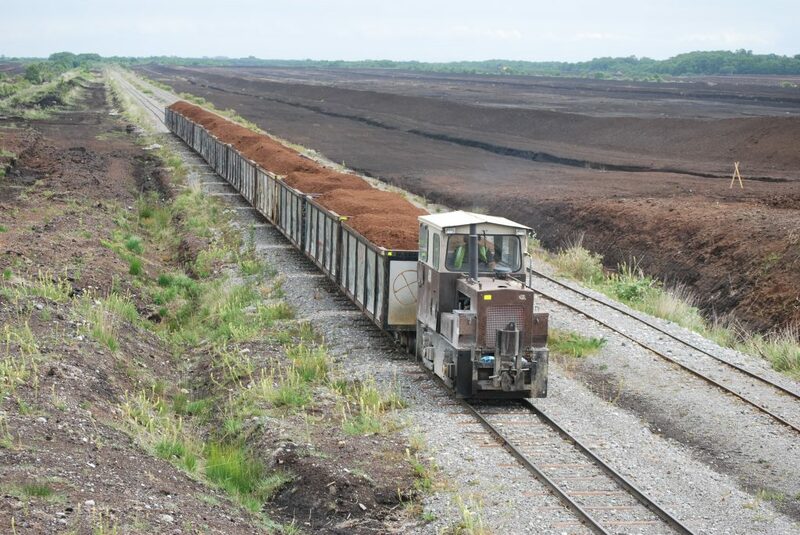 Bord na Mona’s Edenderry plant is the only peat plant to currently co-fire with biomass, doing so for over a decade now. 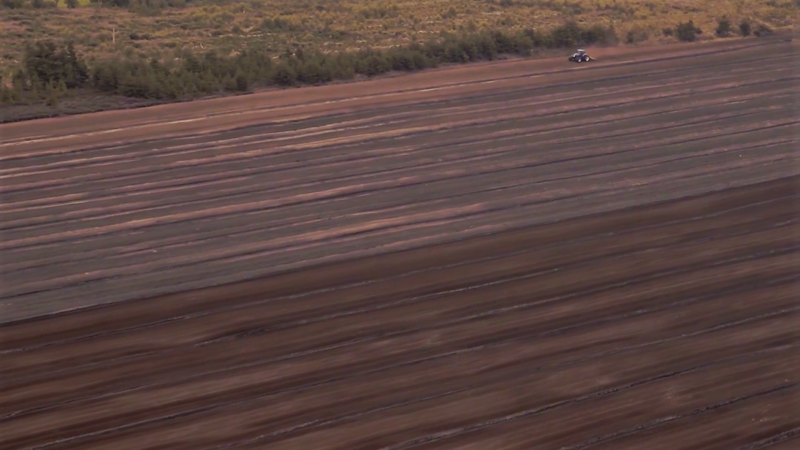 Last year, the plant reached a biomass co-fuelling rate of 41 per cent. FiE argues, however, that the Board should not allow the ESB to operate a peat and biomass plant as many forms of biomass are environmentally damaging. In the case of woody biomass, more emissions can be produced than the burning of coal, the group said. Woody biomass is currently classified as carbon neutral by the EU. The idea is that any carbon lost through felling and burning is recaptured and fixed back in the soil through replanting. In reality, however, woody biomass can be far less efficient than fossil fuels like coal for each kilowatt-hour of electricity produced as more power is needed to burn it off the high water content in fresh cut wood. The ESB has yet to indicate the precise sources of biomass that will be used at the plant, although wood pellets are one likely source as plans for the plant include a pellet storage silo. Documents released to The Green News under Access to Information on the Environment regulations last year show that the ESB has previously carried out trials of biomass provided by Bord na Mona. Biomass samples provided include sunflower husk from Eastern Europe and palm kernel shells, the latter of which Bord na Mona stopped importing in 2017 following an Irish Times investigation into the sustainability of the product coming mainly from Indonesia. Speaking on behalf of FiE yesterday, John Kenny BL said that the choice facing the Board is not simple between permitting a plant that burns 100 per cent peat and permitting a plant that burns some biomass and some peat. The choice, he said, is instead between permitting a peat-and-biomass plant “using the most carbon intensive form of fuel known to man” on the one hand or refusing permission with the end result of “no emissions at all”. “The [ESB’s] argument that the project will result in emissions reductions is therefore wrong as a matter of fact and fundamentally misconceived,” he said. Mr Kenny maintained that the direct and indirect effects of the power plant – including the production and transport of both peat and biomass – need to be assessed in line with binding European Directive. 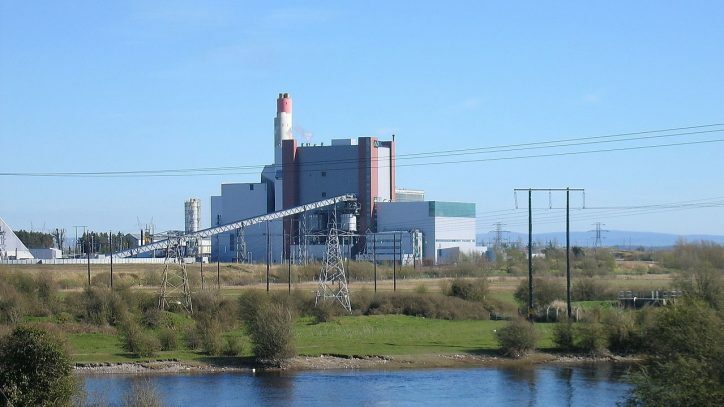 The ESB has stated that the environmental effects of the use of biomass at the plant are considered in the Environmental Impact Assessment Report. Mr Kenny, however, said that this is “simply not the case” without information on the precise sources of biomass that it intends to use. “It is necessary for the applicant to identify the precise sources of biomass to be used both domestically and internationally in order to allow the Board to carry out a legally compliant EIA and appropriate assessment in this case,” Mr Kenny added. Mr Kenny also highlighted a legal case brought by FiE together with plaintiffs from Estonia, France, Romania, Slovakia and the USA challenging the inclusion of forest biomass as a renewable fuel in the EU’s Renewable Energy Directive (RED II). The plaintiffs contend that RED II ignores the science on forest bioenergy and promotes false carbon accounting as woody biomass is classified as carbon neutral. Two other prominent environmental groups – An Taisce and Friends of the Earth (FOE) – also raised concerns about ESB’s plans in submissions to the planning authority last November. In its submission, FOE said the ESB’s claims that it plans to use indigenous biomass supplies are unrealistic and do not reflect the reality of the lack of biomass available in Ireland. The group’s deputy director Kate Ruddock said that co-firing will only prolong the use of peat that is “not compatible with sustainable electricity generation” and “in direct contradiction” with our national, European and international climate objectives. Peat burning is estimated to generate around nine per cent of electricity in Ireland, but is responsible for almost one-fifth of all emissions from the electricity sector. Ian Lumley, Advocacy Officer of An Taisce, stated that ESB’s proposal “perpetuates unquantified peat extraction and burning” and will delay the rehabilitation of our bogs. He said that the lack of a domestic biomass supply will mean that the West Offaly plant will be dependent on “unsustainable” foreign imports with likely “adverse ecological” impacts. The ESB has previously told The Green News that the transition from peat to sustainable biomass at its Midlands stations is part of its “commitment to leading Ireland’s transition to a low-carbon future”. Both the West Offaly and Lough Ree stations will use biomass with “proven generation technology to provide reliable and predictable renewable energy” to the grid, the semi-state said. An Bord Pleanála is due to make a decision on 6 June 2019.